Chandler Heating, Cooling & Refrigeration is proud to serve the Newark community! About Newark, OH - Happy to be your hometown Heating & Air Conditioning Contractor! The city of Newark is located in Licking County, Ohio, approximately twenty-five miles east of the capital city of Columbus. Founded in 1802 by Major William C. Schenk, Newark was incorporated as a town in 1826, before becoming a city in 1860. With roots firmly entrenched in business and industry, Newark is home to industry giants such as Owens Corning Fiberglass, Holophane, Kaiser Aluminum, and Dow Chemical, just to name a few. 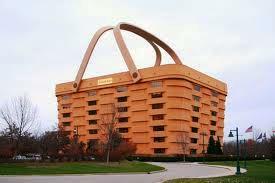 Longaberger Basket Company, the world-famous maker of American baskets, was established in Newark in 1973 and boasts the world’s largest basket building, complete with carrying handles on top! City parks, the arts, museums, history, recreation, family fun, and entertainment – the city of Newark has it all! Residents and visitors alike will enjoy a visit to the National Heisey Glass Museum, Weathervane Playhouse, Newark Earthworks Center, and Taft Reserve. Golfers can hit the links at any of three local area golf courses, while anglers and outdoor enthusiasts can enjoy a day on the water on the Licking River, which is formed by the joining of its north and south forks at Newark. Downtown Newark offers visitors a glimpse into the past with the historic Second Empire Licking County Courthouse, located in the courthouse square and surrounded by the Downtown Newark National Register Historic District, featuring more than ninety historic commercial structures. Conveniently located off State Route 16 and just north of I-70, the inspiring and enterprising city of Newark has something to offer everyone!